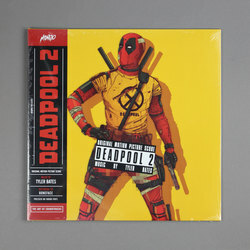 Tyler Bates - Original Motion Picture Score: Deadpool 2. Vinyl LP. Bleep. Tyler Bates turned in a superbly over-the-top score for the second Deadpool movie. His music for the film did a great job of balancing classic orchestral film scoring with the same nudge-nudge-wink-wink vibe of the whole Deadpool franchise. Now the Dawn Of The Dead/Sucker Punch composer has his music set to wax by the cinephiles at Mondo. Featuring artwork from Boneface - the artist who, among other things, produced the cover for Queens Of The Stone Age’s 2013 LP ...Like Clockwork - and pressed on red vinyl, the overall package of this one is great too.